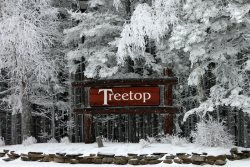 Walking distance to the Snowshoe Village and Western Territory Lift. Beautiful Views from your own private deck! With awesome views overlooking the valley, this Land's End condo is located just across the street from The Village. With 4 bedrooms and 3 baths, this condo is equipped with all the comforts of home. A large fireplace makes the living room a cozy place to relax after a long day on the slopes. The den is located just off the living room for the kids to have a room of their own. Also located on the main floor is the newly remodeled kitchen and dining room area. The upstairs loft area has a queen bed, with 3 bedrooms and 2 full baths on the bottom floor. The garage is a nice addition for your vehicle to escape the cold and snow. Book this condo today, and you'll be glad you did. SLEEPS 10 PLUS !